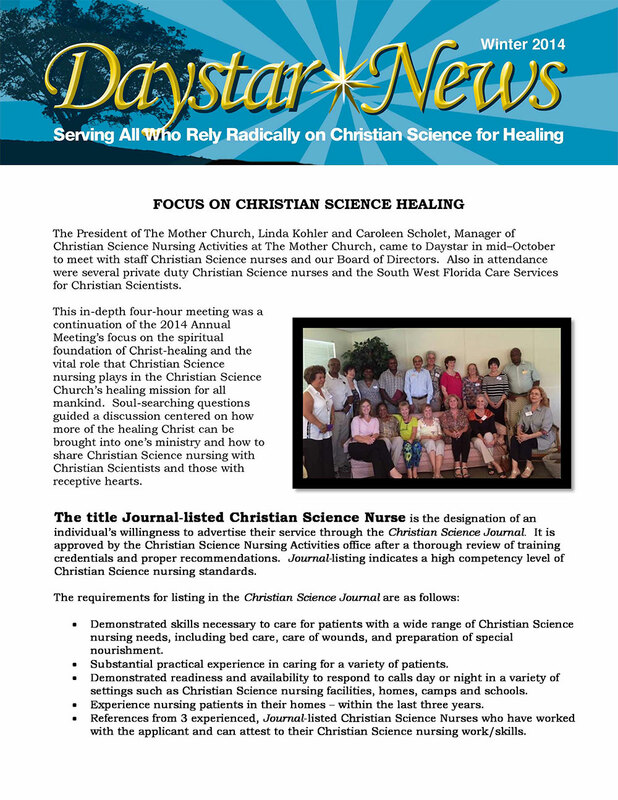 Enjoy our Winter 2014 newsletter! 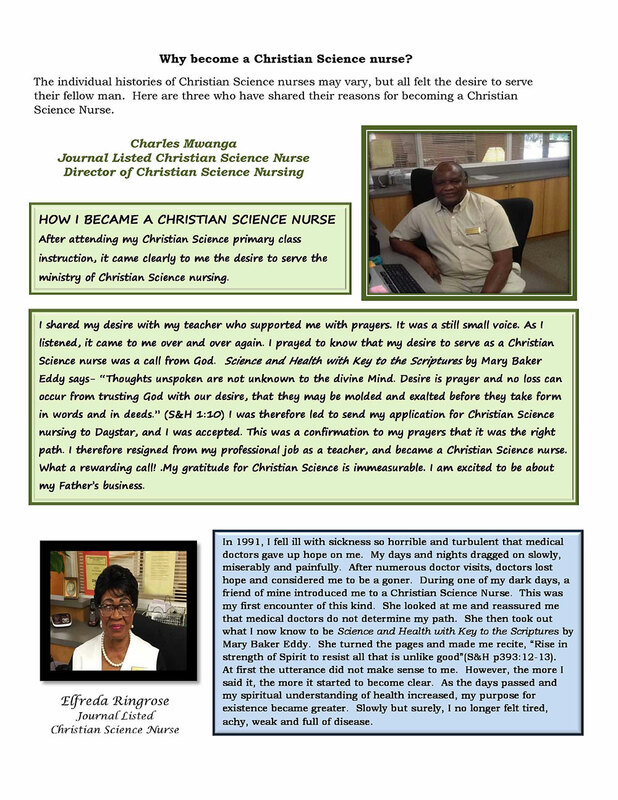 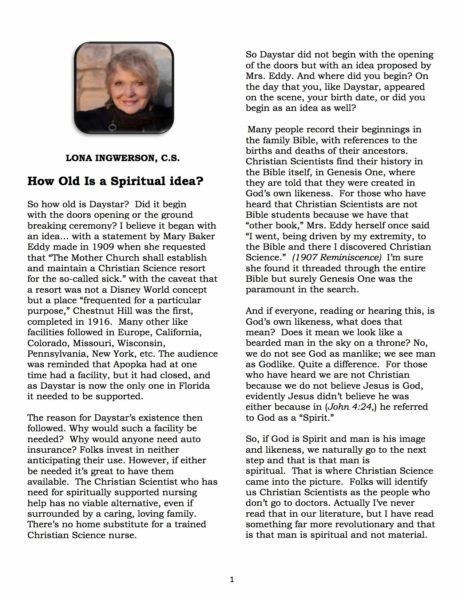 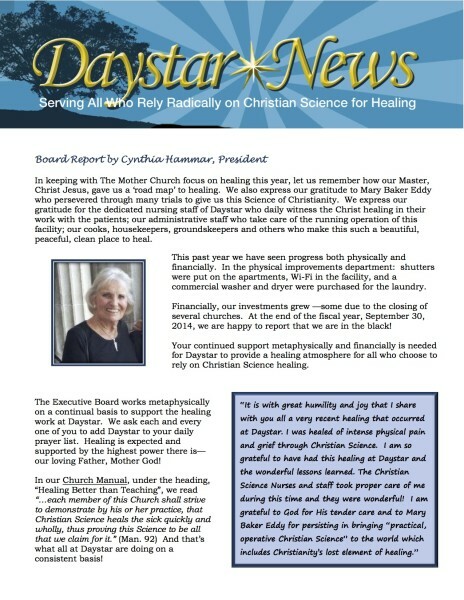 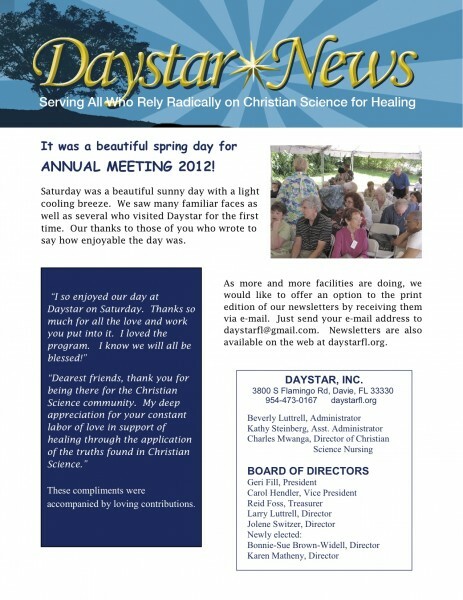 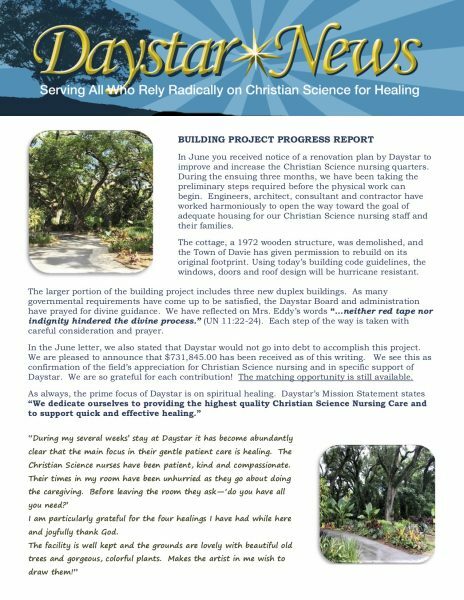 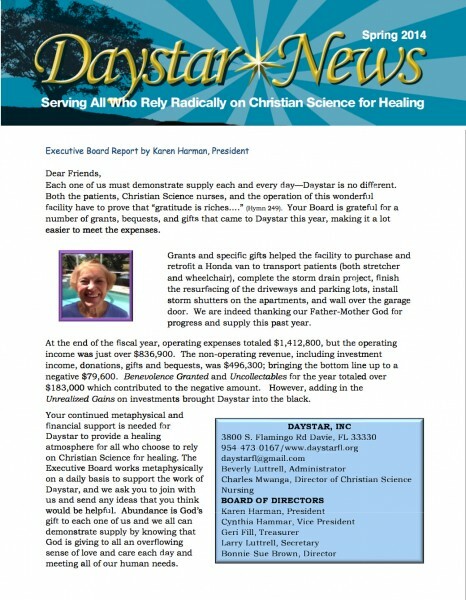 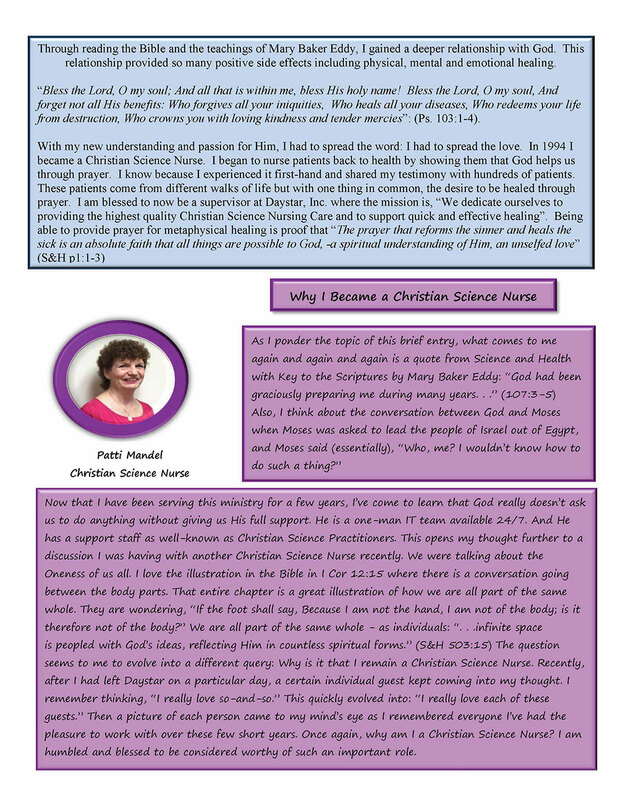 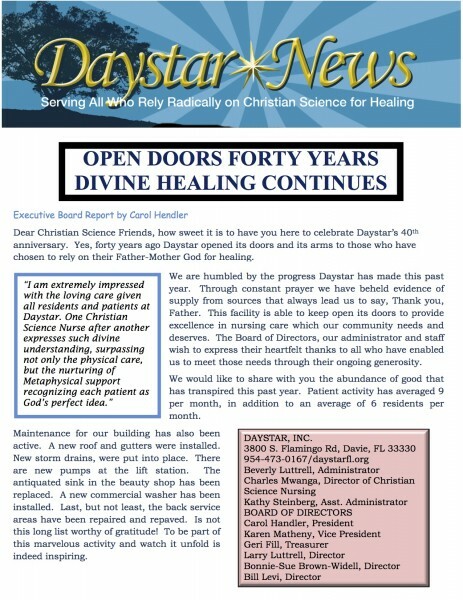 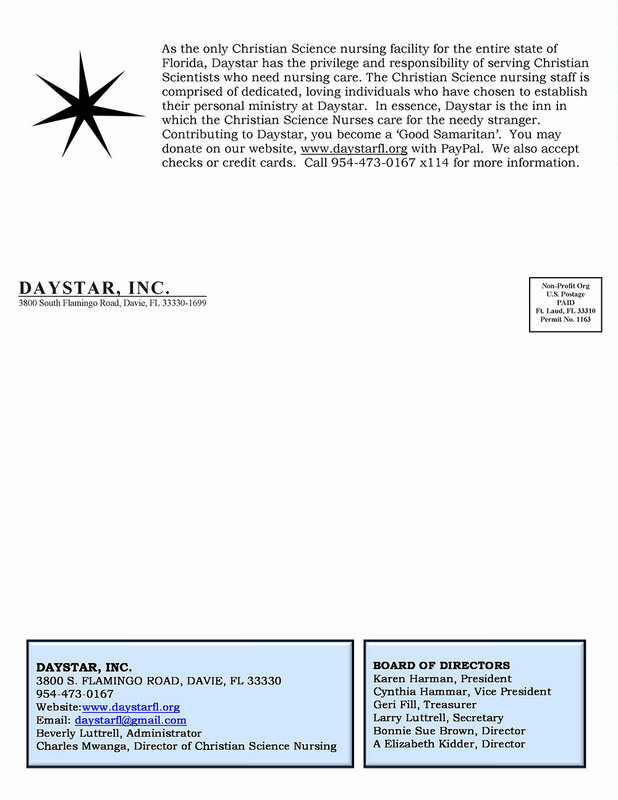 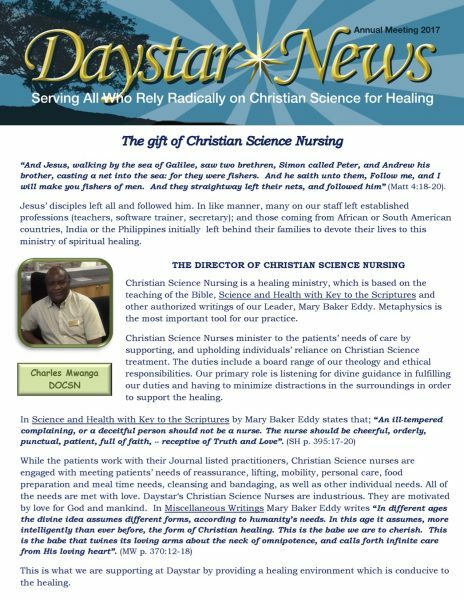 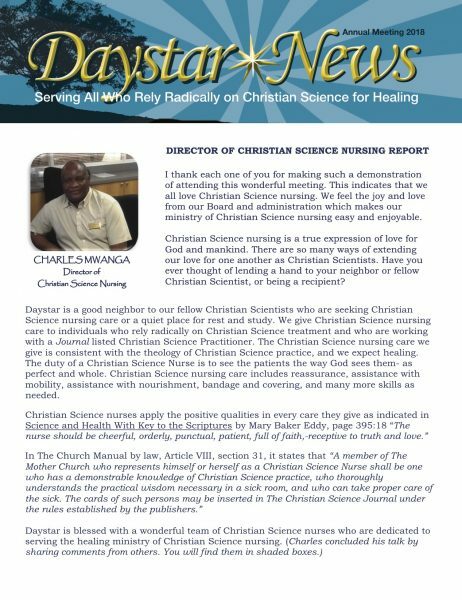 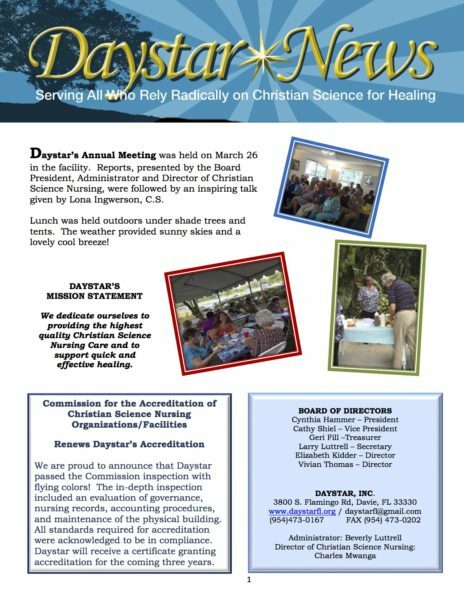 Daystar Spring 2014 Newsletter and Inspirational Talk given by Elizabeth Kidder, C.S. 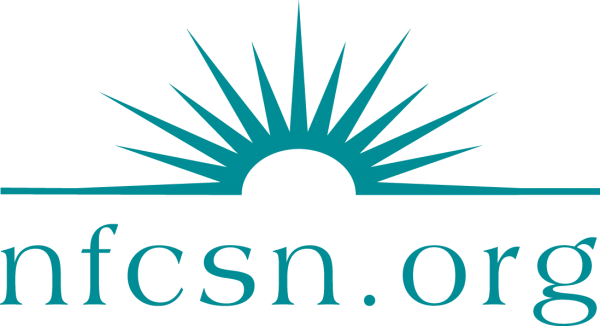 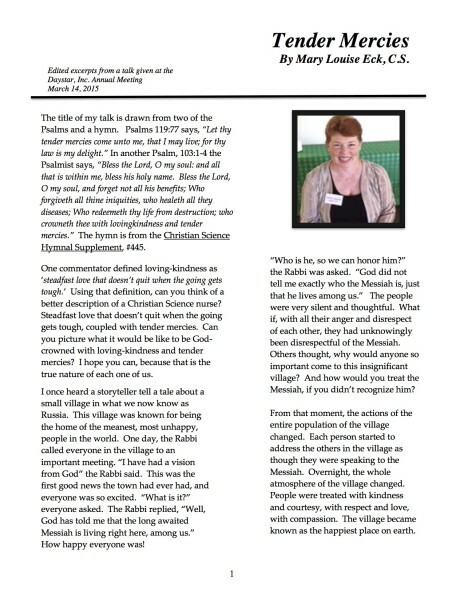 Click here to download excerpts from Elizabeth Kidder’s talk given at the 2014 Daystar Annual Meeting. 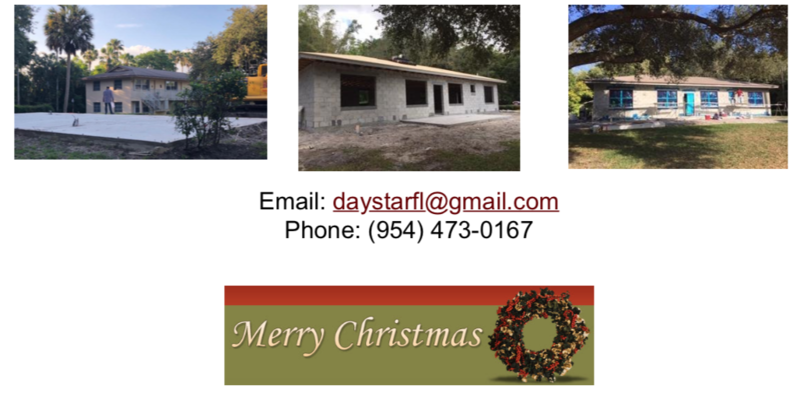 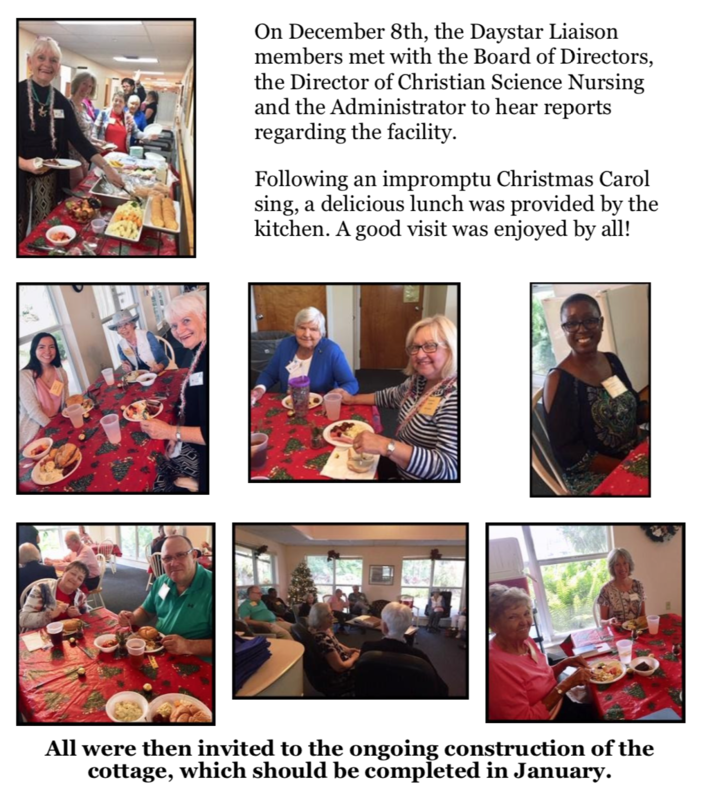 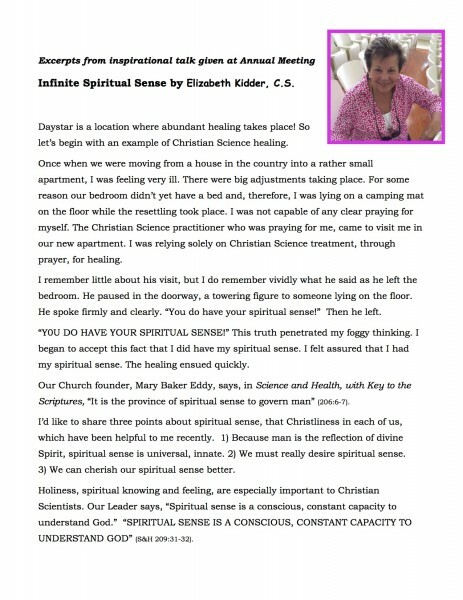 Posted in Newsletters | Comments Off on Daystar Spring 2014 Newsletter and Inspirational Talk given by Elizabeth Kidder, C.S.